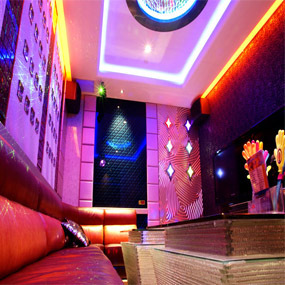 Party + Karaoke + Affordable Price ! 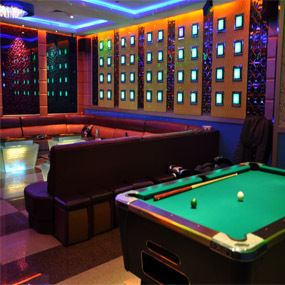 Your Choice is PARTY WORLD KTV ! We would like to inform you that our Tanjong Pagar Karaoke outlet would start operation on the 22nd of March 2019, Friday. We will like to thank you for your support to our New Outlet. Please visit our new outlet to enjoy the newest facilities! ​We hope to see you soon! We would like to inform you that our Downtown East E!Hub Karaoke outlet would cease operation on the 4th of June 2018, Monday. We would like to apologize for any inconvenience that might have cause to you. We will like to thank you for your support at DOWNTOWN EAST E!Hub PARTY WORLD KTV throughout the years. 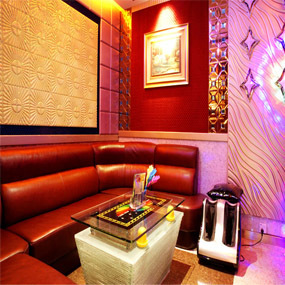 Please visit our latest Karaoke outlet LIANG COURT to enjoy the newest facilities! 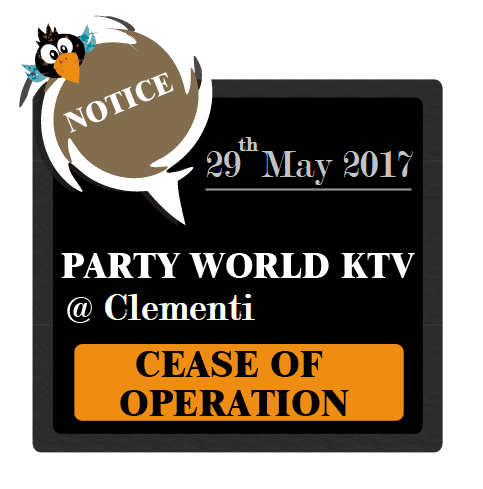 We would like to inform you that our Clementi Karaoke outlet would cease operation on the 29th of May 2017, Monday. We would like to apologize for any inconvenience that might have cause to you. We will like to thank you for your support at DOWNTOWN EAST E!Hub PARTY WORLD KTV throughout the years.